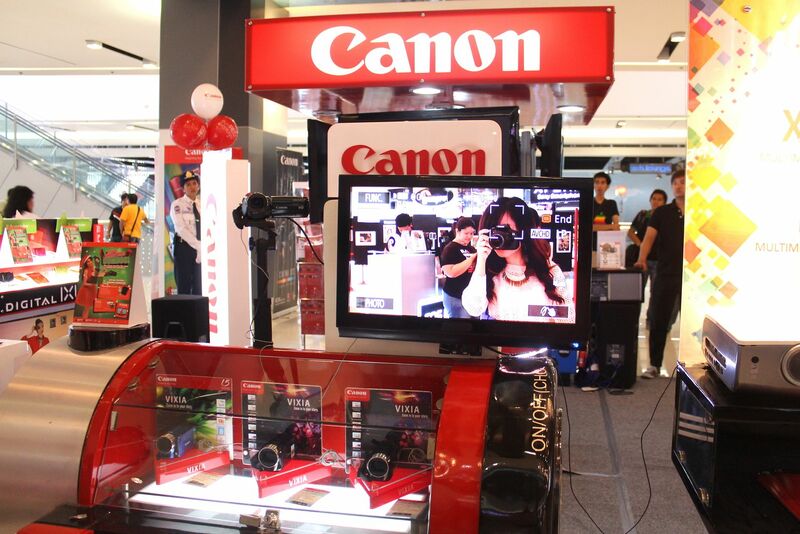 I've always been a Canon user ever since I started using a camera. The first Canon camera that I owned was a Powershot SD750 digital camera I asked my dad to buy for me back in college which was 5-6 years ago...and the digital camera still works up until today. I had another digital camera in November 2011, Ixus 115 HS, when I needed to start doing HD videos. And then, bought another point and shoot in January 2012 because I needed an HD point and shoot that has smart auto-focus, I got an Ixus 230 HS this time. And finally, I felt the need to upgrade my photos and get myself a dslr in July 2012. 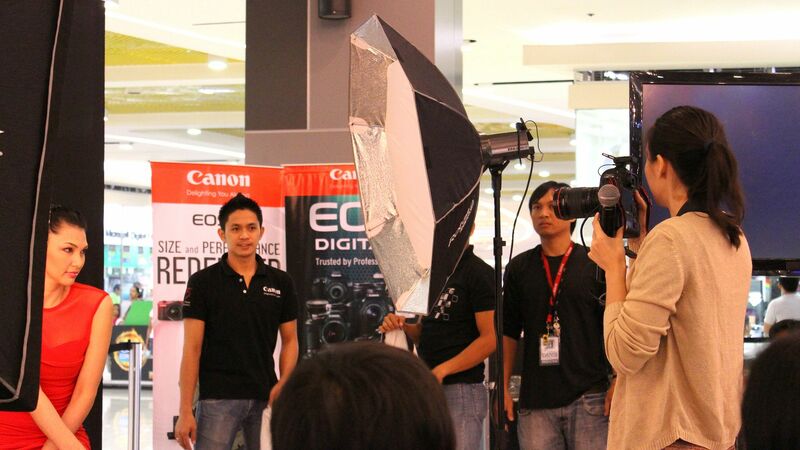 I got the newly released Canon 650D EOS camera. I took photography class in college, but back then I wasn't really into professional photos and was just into taking weekend party photos of me and my friends, so I didn't really give much importance to the class. 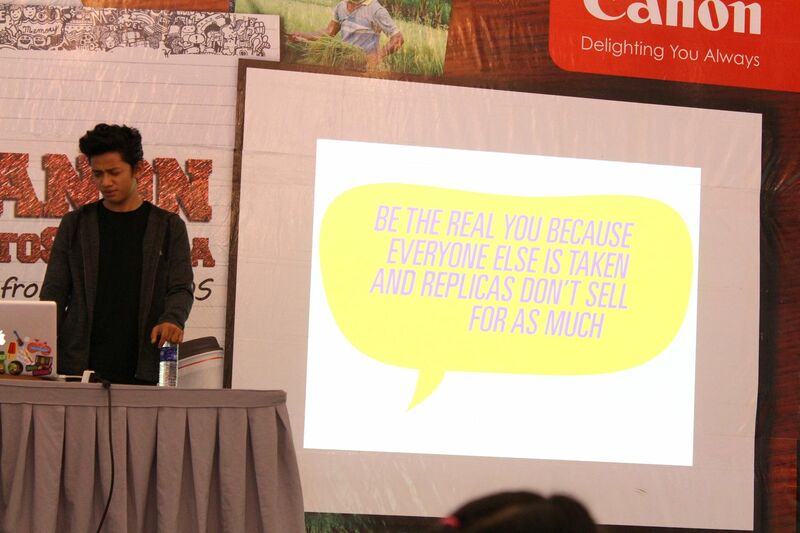 Now that I'm blogging, I wished I took the class seriously. lol. 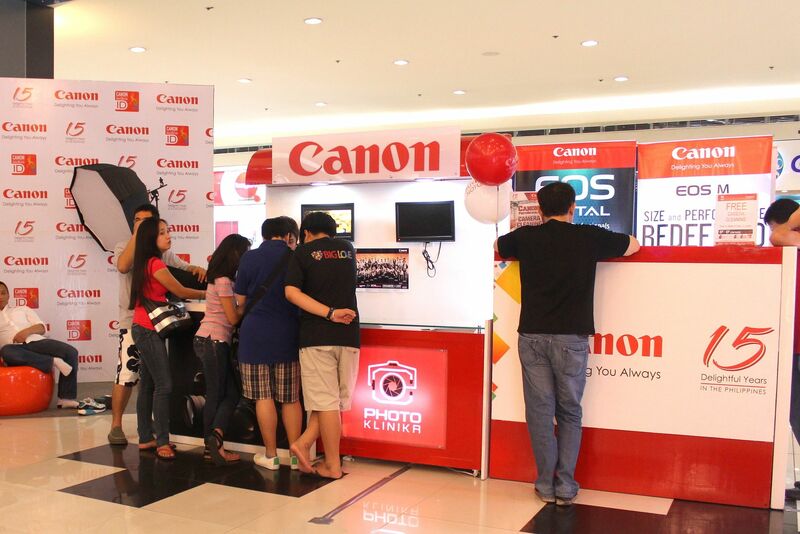 But, thanks to Canon, I don't have to regret that much anymore. 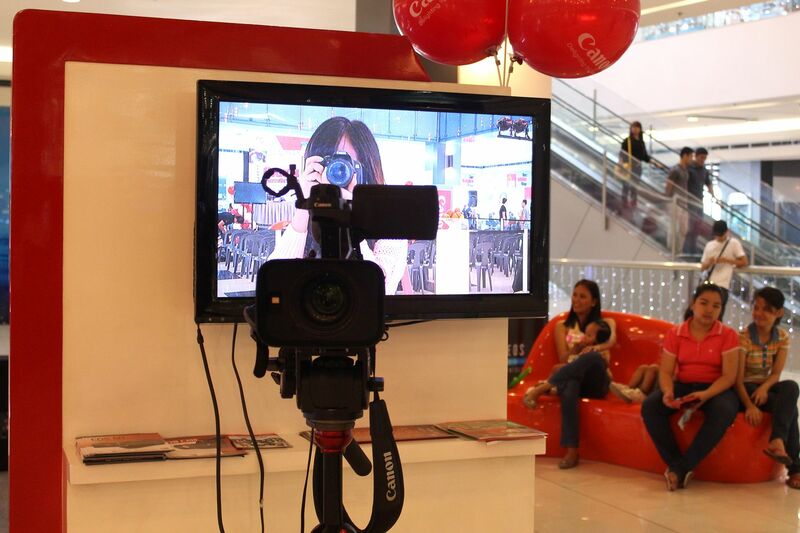 Canon holds a lot of Photography workshops for their consumers, which is really amazing! They held another batch just this weekend and I was happy to be one of the participants. 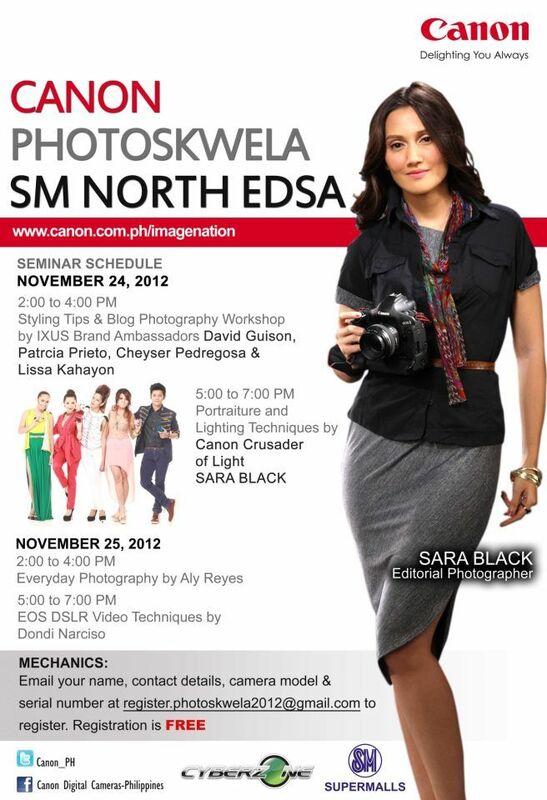 Canon Photoskwela workshops are free. All you need to do is to register online and wait for the confirmation. 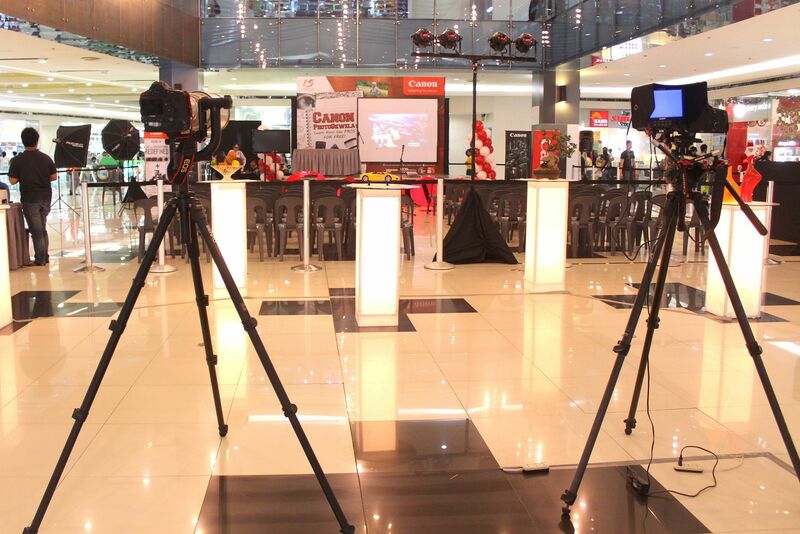 Once your name has been entered, bring your dlsr with you and come to the event. Simple! 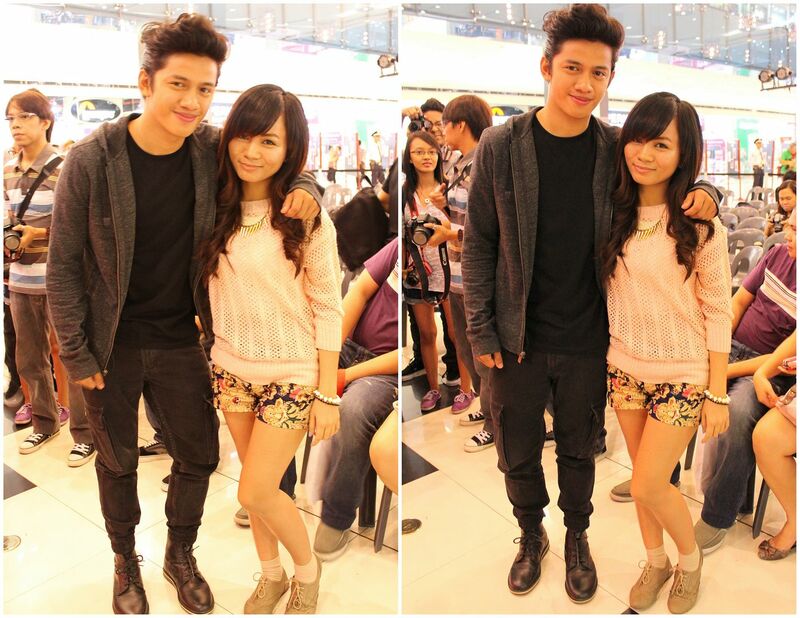 Spot me in the pictures! Time for the talks to begin! I was actually excited to attend this because some fashion bloggers were coming. Of course, I knew I would learn some things from them so I was really eager. 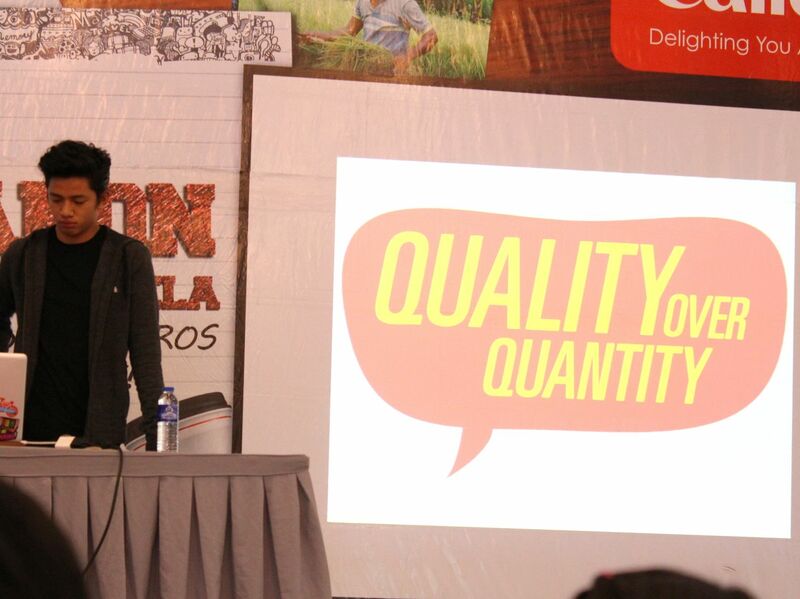 The speakers were David Guison from www.davidguison.com. 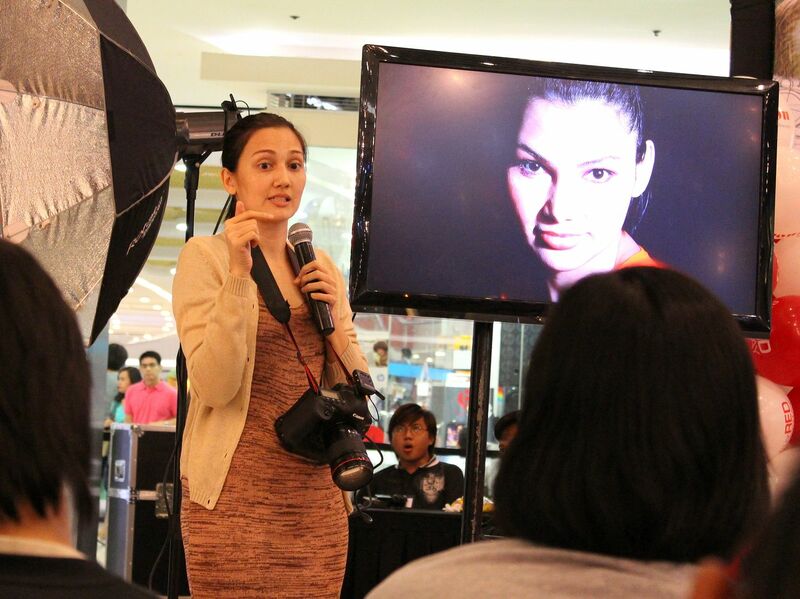 And, Lissa Kahayon from www.lissakahayon.com. I have to be honest that most of the points they talked about, I already know.  Like how to start a blog, how to earn, how to get sponsorships, what to write... 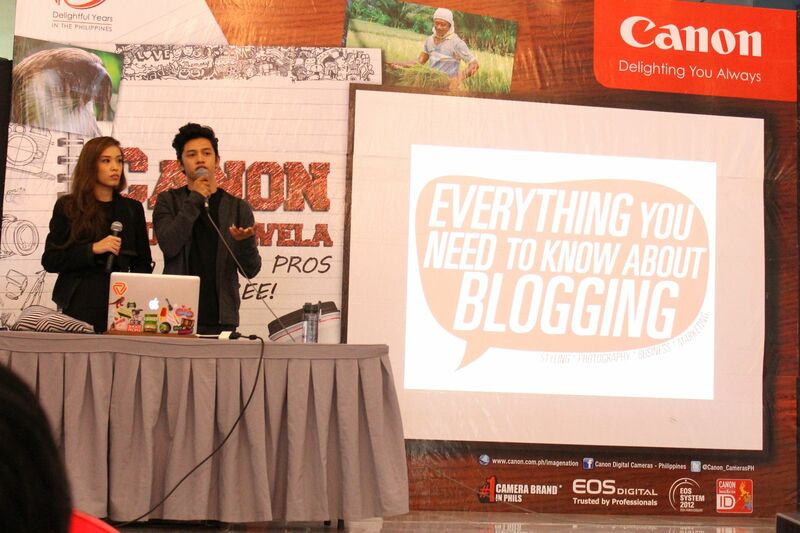 But it was still fun to listen to more famous bloggers as they speak about their experiences. David is a good speaker. He seems like he really knows what he is talking about. This man's got sense. I would like to have him as a friend. lol. He's super talented! Oh, that? 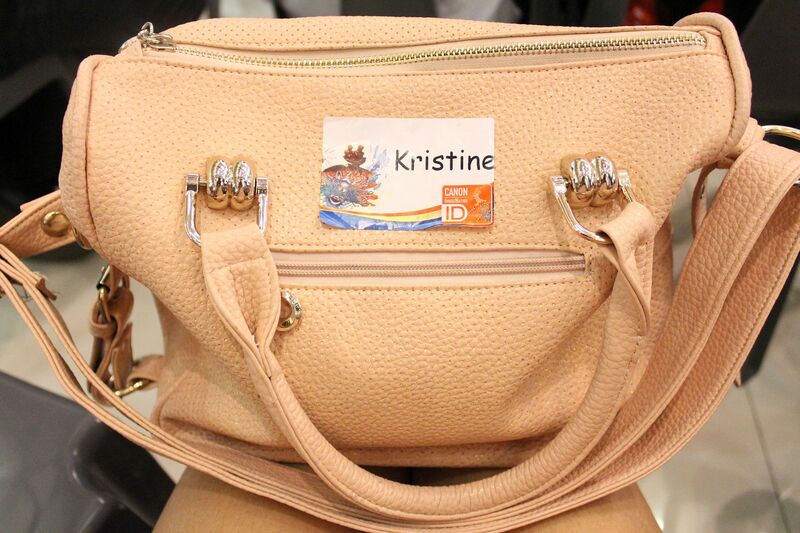 Just a random photo of my name tag and bag while waiting for the next speaker... lol! Next is editorial photographer Sara Black. Overall, it was a fun event, though I was only able to attend the 1st day. I'm sure the 2nd day was also fun! 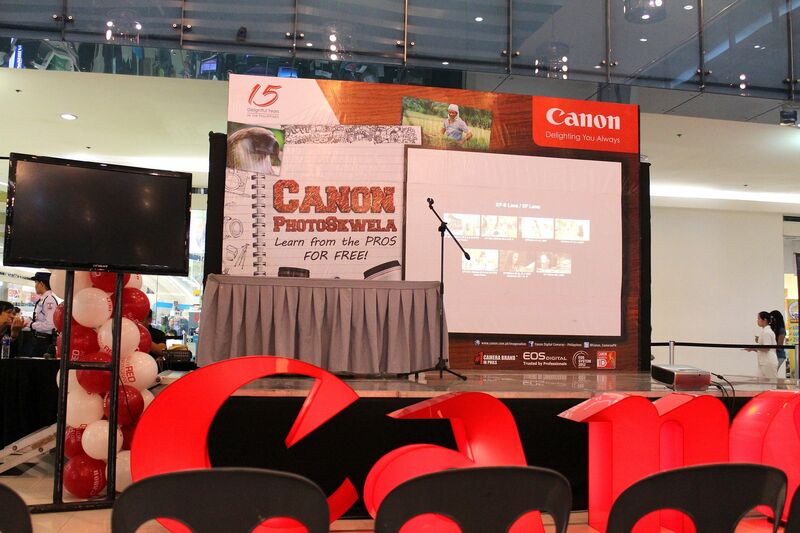 Thank you to Canon for this event! And thank you for continuously giving people great quality cameras!